Schoolchildren are being given the chance to ignite their passion for cricket or further develop their skills in the historic surroundings of Trent Bridge over the Easter holidays. 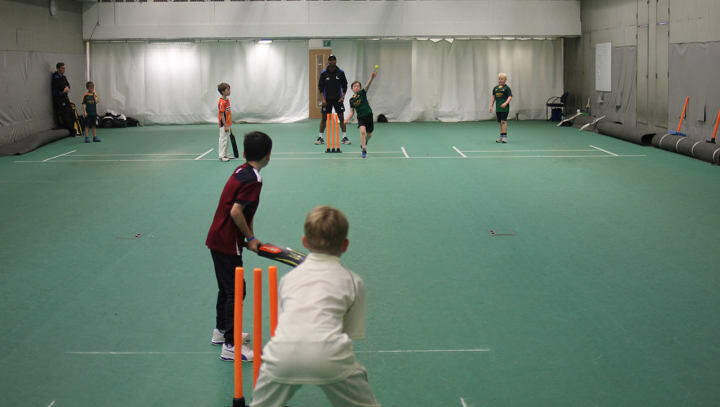 Coaches from the Nottinghamshire Cricket Board have devised a range of coaching sessions which are tailored for all ages and abilities, from beginners to seasoned players. The classes will be run in the Woodhead Hall between Monday 8th and Thursday 18th April. Fun and exercise will be the focus of sessions being run for children in school years 3 to 5, which will run between 10am and 12pm on Monday to Wednesday of both school holiday weeks. Sessions will cost £10 each, or children can take part in all six sessions for £50. More booking information can be found here. Masterclasses for those in school years 6 to 10, meanwhile, will allow young people to focus more on their personal cricket development. A class on batting against seam will take place on Mondays, while batting against spin will be the focus on Tuesdays and bowling will take centre-stage on Wednesdays. All sessions run from 1 - 3.30pm, cost £20, and can be booked here. As the start of the season approaches, limited places are available for children to hone their two chosen skill areas in a one-to-one coaching environment. Hour-long sessions will be available on Thursday 18th April, costing £40. The last few remaining slots can be reserved here.